Every business wants to earn money and make a profit, by offering quality goods and services to their clients and standing out from their competitors. It makes good business sense to then invest this profit back into the business, so they can provide more a comprehensive list of services & offer or manufacture better products for their clients. This profit should also be invested back into the people who work for the business to ensure they are rewarded & trained properly for the job they carry out, this in turn will ensure that clients are then receiving the level of service they would expect. All of the above makes for the ideal business model, maybe in the world of make believe, but let’s step into the real world of business & 2018. Since the recession and banking crash of 2008, businesses have been suffering badly as a result of Late Payment behaviour by their clients. Billions of pounds are written off by UK businesses each year because of Late Payers . It’s almost become the norm for big businesses to hang smaller businesses out to dry, and not pay them for long periods of time in the hope that they go the wall and they can they hopefully then cut a deal with the liquidators and settle only a small percentage of what was originally owed. It’s extremely important to set out your company’s payment Terms & Conditions in writing. This can be including in your own Terms & Conditions on your contracts or credit application forms, but also stated on your invoices. It amazes me the amount of businesses who simply don’t have any payment Terms & Conditions, and if they do their clients are not aware of them as it has not been brought to their attention before. Debtors are very conscious of what they have to pay, but if this is not set out in black and white then the company has nothing to fall back on, should the debtor then start to query these. Setting out your Terms & Conditions in writing highlights them to your clients and creates a clear and consistent approach. We always tell our clients a good customer is a paying customer. Research has proven that rewarding negative behaviour has little impact. Say you have an employee who is continuously scrutinised for making small errors. Your employee will feel under valued and their overall performance will suffer as a result of this. Whilst you would want the employee to improve and give feedback on where they have gone wrong, if this employee also receives positive feedback on areas they are strong at, they will continue to improve and demonstrate positive behaviour. You should try and reward clients who pay on time or early. For Example, you could give the client a discount off their invoice for paying early or on time or offer them a discount of their next order as long as they pay within the timescales set in your Terms & Conditions. This will make your clients feel special & valued by the business, which in turn will increase sales and turnover. A lot of businesses we deal with raise invoices to their clients at the end of start of each month, by this time their client could have been in receipt of the goods or services they ordered for two to three weeks already before receiving an invoice from the company. This does not make good business sense, and invoices sent after at the end of each month etc are often paid late, and there is a stronger likelihood of them been settled quicker if they are in the client’s possession straight after the business transaction has happened. Sending invoices throughout the month and immediately after goods or services have been supplied is also beneficial because the company will have a constant flow of cash coming in to their account. By law in the UK you have to allow clients 30 days to pay before you can pursue them legally for payment. However, this does not stop you calling or emailing them to ask when you can expect payment. Credit Control Departments should have a robust process in place for this. They can call clients straight after invoices have been raised to deal with any queries or disputes promptly, then call or email them 15 & 30 days after the invoice has been raised to see when payment will be made. No one likes pressing their clients for payment, but this demonstrates to clients that the business is very on the ball with their credit control. After 30 days contact should be made with the client on a daily basis, if this contact is not made it implies that the company doesn’t need the invoice paid all that urgently. There are a load of CRM databases and software to assist your business with cash flow and Credit Management, businesses need to ensure they invest in the right ones. Successful Credit Management is about having a clear overview and excellent processes in place to deal with your credit control. In order to streamline the sales to cash process it is very important to use the right software. Specialised Software is much more advanced than say an Excel Spreadsheet. Spreadsheets can contain a lot of data which can sometimes be incorrect due to data entry errors or changes in formulas, which can quickly lead to the wrong information being viewed. If you invest some cash into specific software for your cashflow, so you can say view late payers at the click of a button, then this will ensure you are on top and one step ahead of your clients for chasing payment. All of the above are easily implemented into a business, with little fuss or cost, this could in turn lead to big changes within the business. Small modifications can lead to invoices being paid on time or more promptly, and in turn easies your cash flow and clients should return to buy more goods and services keeping everyone happy, including the King! There is a popular misconception that the Credit Control Department is “anti-sales” and they will try to create barriers towards the sales effort wherever possible. This “Sales v’s Credit” attitude is wrong and can only be removed by strong personal relationships and education of the sales staff that a sale is not a sale unless the company is paid for it. The education process begins with regular meetings between the two departments. Discussions points should include, collection results, problem accounts, new prospects, unresolved queries, frauds and potential frauds, any information shared from Credit Circles or competitors on poor payers, cases that may go legal or to debt collectors and updates on cases that have already been passed to solicitors or debt collectors, and proposed customer visits. The Credit Controller or Manager of Credit Control should visit prospective and existing customers as regularly as possible with the sales team. This again will cement the relationship between the two departments and give the Credit Controller a clearer understanding of the sales teams daily challenges. In the same way each new and existing sales person should be given an induction to the role of the Credit Control Department and their key objectives towards profitability. Selling – bringing home the business – is a tough job, especially in the current financial climate, and the sales team should be congratulated when any new business is received. The Credit Controller’s part in this process is to seek to do business at every possible opportunity. If a customer is deemed un-creditworthy, you should look for alternative solutions like Cash on Delivery, Personal Guarantees, or Guarantors. If the Credit Control Department decides to offer credit on the basis on the Personal Guarantees or Guarantors they should be thoroughly investigated first to ensure that they are credit worthy and also have assets should anything go wrong with the account so they could be pursued to recover any monies owed. Credit Control should never decline the account, without giving reason to sales. The most important point to note is communication. Credit Control should always keep the sales department informed of any key changes to their accounts whether it be good or bad. Credit Control should never forget that the account also belongs to sales as well as them. The sales team are extremely valuable to many credit processes including collections, risk assessment and gathering information. The setting of clients terms and credit limits will also become an easier process when a good relationship exists between Credit Control and Sales staff. Monthly, or weekly meetings should be held between sales and credit control and all of the points in paragraph 3 should be discussed, documented, and action points should be noted and actioned before the next meeting. This adds to the commitment, trust and overall communication between the two departments. If the sales team is treated professionally and with confidence, Credit Control will gain their trust and respect in their options, and future dealings will become easier because you are working together. Sales people and generally positive, driven people, and credit professionals should be equal to this attitude. The stuffy, blue suited, office bound individual is a thing of the past. The Credit Control department is the link between sales and finance and makes a real difference to corporate profits and liquidity. This should not be overlooked at any stage. The Credit Control department should use positive language when addressing the sales team. They should not talk negatively about “blacklists” or “stopping supply” even though this maybe their only course of action left. Credit Control should use other phrases focusing on positive action and try to be pro active about highlighting potential issues with sales before they arise. Credit Control should praise sales on their successes and focus on how their customer skills and strengths can help Credit Control achieve their objectives. Without sales, the company would not survive. Without money and cashflow, the company will not survive. 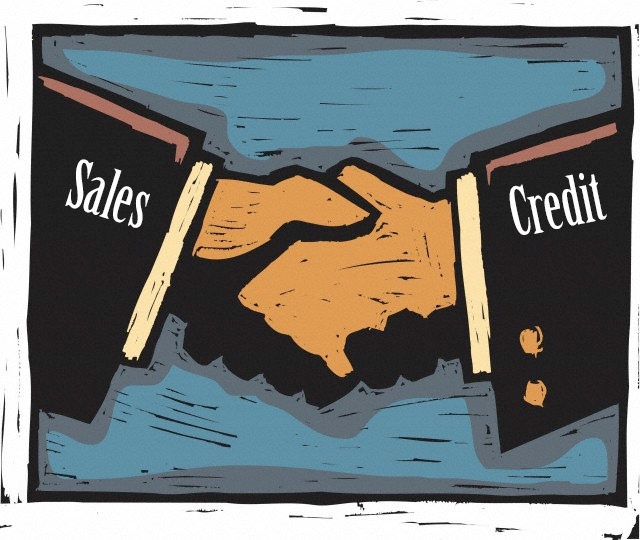 Allowing credit accounts to clients is an incentive for sales to win business. This incentive comes at a cost, and the role of the Credit Control department is to keep the cost to a minimum by collecting, communicating, and minimising bad debt, and also creating a fantastic environment for clients that will ensure repeat orders for the sales team. The telephone can be a very powerful tool and without question is the most effective method of collecting outstanding debts, but you must consider the time element involved in calling everyone in your customer base. What are the values of your debts? Based on the answer to these questions, you can structure your overall approach to the collections. If your ledger consists of 10 – 20 high value accounts, ensure you call them all (or even visit them) personally. These are key accounts to your business and should be treated well in order to establish sound relationships with your clients and ensure prompt payment of the accounts. If you have a good working relationship with a key client, do your homework, by building rapport with them. For example, if they tell you personal information about themselves (birthdays, anniversaries, names of children, or the area they live in) note them on the account and use them in future conversations. It seems simple, but this will highlight to the client that you are generally interested in what they have to say, which builds a better relationship with them, as well as keeping you a step ahead should you ever need to make a collection from them. If your ledger is made up of 1000 – 2000 low turnover accounts, then it would be impractical and not a good use of your time to call them all personally. A structured letter cycle approach should be adopted. Please see my previous blogs Reminder Letters for Invoices Part 1 & 2 for advice on this. 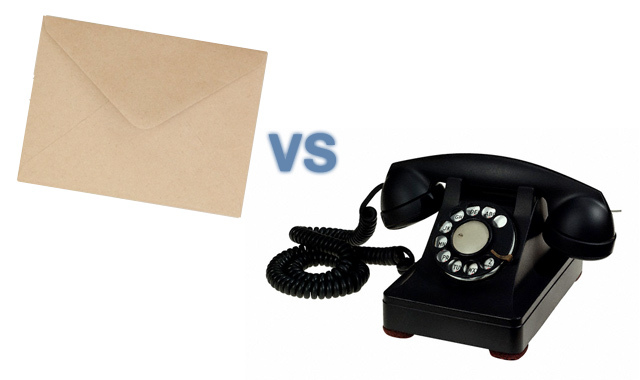 Most commonly there will be a mixture of phone calls and letters. You should prioritise your workload to find a balance, ensuring your high value, high risk and prestigious clients always receive a personal call, whilst sending letters, faxes or email to your low value, low exposure customers. Do you have a credit application form completed? Have you checked the references supplied on the credit application form? Don’t just telephone the numbers supplied to check this out, check on Google maps etc that the addresses and companies supplied for the references actually exist. Fraudsters will supply you with fake address and company details for references and the number you call will probably just go straight to them or someone working with them and they will just tell you what you want to hear in the hope that you open the account and send them the goods. Remember, how much profit can be lost from overdue accounts or bad debts, so its imperative you get this correct first time. If there is any ambiguity in your contracts or payment terms, it may severely hinder your future collection efforts. If your quotes, order forms, invoices and statements send the wrong message or information, the confusion may be costly. Ensure your business is not just selling at any cost, and expecting to pick up the pieces. If you think a particular account is high risk, look at your costs and factor in a higher profit margin where possible, so if the account goes bad then at least you will have recouped some of your losses already. If you have a high account query rate, and you are experiencing consistent slow payment, there will usually be a reason for this. Its your task to ascertain the root cause of this reason, and resolve it. Remember that payment is as important a part of your contract as the goods, services, sales, dispatch and pricing policy. If you provide the best service to your customer, you should expect payment in the same manor. Firstly, ensure you call at the right times of day. 9.30 – 12.00 and 2.00 – 4.00 are generally the best collection windows, avoiding lunch and early departures. Try to arrange your day around these periods. You should set yourself regular cash goals to target and monitor your collection efforts. Remember to use the 80/20 principle. This will bring the majority of the cash your business requires. Use days Sales Outstanding (Debtor Days) to set yourself (or your team) cash targets for the month ahead, and adopt rewards and incentives (however small) for your key achievers. Place emphasis on any ’90 day overdue’ balances (including problematic debts) to ensure they don’t become uncollectible. Memories become very distant as time goes by and its your job to ensure an account is never outstanding for too long. Recovery agents have collected debts aged 3 years and over just by picking up the phone and communicating. The offending company simply told them ‘nobody has ever asked for it before!’ although I do understand these instances are rare it is sometimes worth chancing your arm to see what happens. Use your sales ledger system effectively to produce relevant reports necessary to assist your collections (i.e an aged debt report or detailed invoice analysis), and keep credit control history logs for all customers up to date, with detailed notes so you know exactly what was said in your last communication with them. This can then be recalled the next time you speak to them. Send your paperwork out on time (i.e invoices, statements, and reminder letters) and ensure you are following up any queries or issues with accounts . If you have issued an invoice and one of your clients has not paid this its your responsibility to call them to find out exactly what is going on. There maybe a genuine reason for them not paying you and it shows you are on the ball and will not be fobbed off with excuses when it comes to getting paid, even you’re biggest and best clients should understand if you chase them for overdue invoices and you should not be afraid to do this. This is something I am always banging about in my line of work. Many of your customers will prefer to do business on credit and most will likely insist that you extend credit terms. Under the best of circumstances, it’s unlikely that they’ll all pay on time. By establishing and enforcing smart credit policies your business will run more smoothly and maintain a sufficient cash flow. Step 1 – Although no policy is foolproof, write a set of credit terms based on what works for your business. If you are diligent and thorough the policy should serve you well. Step 2 – Your customer must make it clear what their legal entity is. There is a big difference to giving credit to a sole trader to an Ltd company. Step 3 – don’t just read the trade references. Always check the trade references are legit. What is the point of asking for trade references if you don’t check them? Also beware of customers who won’t complete a Credit Application Form. Are they hiding something? Step 4 – by adding a Personal Guarantee you are giving your business additional protection should the customer’s business go under. Step 5 – Has your customer got a good history of paying on time? You will soon know by checking their transactions in the last 6 months. 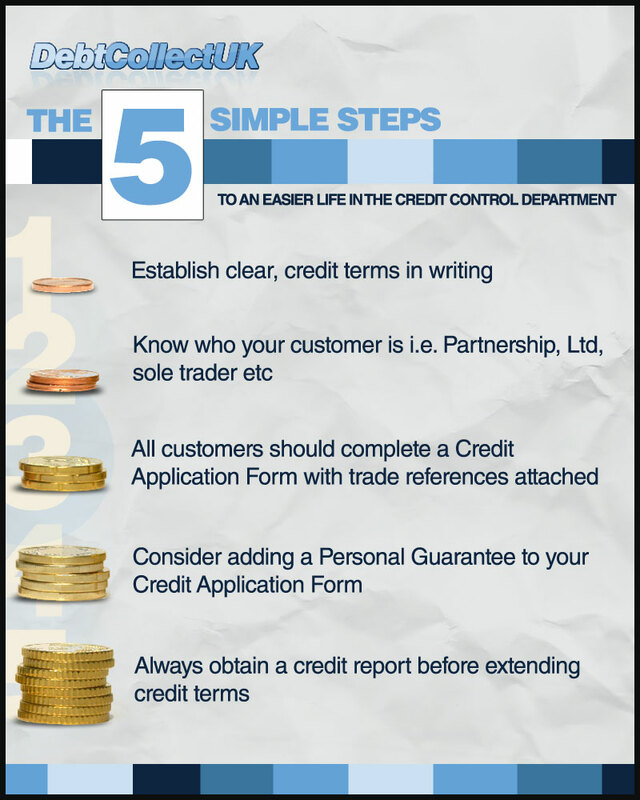 Share the post "5 Simple Credit Control Rules to Follow"